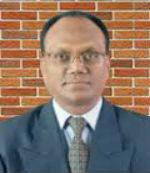 MBA (PGDM) in 1988 from Indian Institute of Management, Bangalore with specialization in Marketing. Associate Professor - Marketing, Institute of Management Technology, Nagpur since May 2007. Head - Sales & Marketing - RDC Concrete (India) Ltd., Mumbai (3 years). General Manager (Mktg) - IndoRama Cement Ltd., Mumbai (5 years). Sr. Marketing Manager - Unitech Prefab Ltd., Mumbai (2 ½ years). Assistant Manager (Mktg) - In-charge of Brand Management and Technical support - Manikgarh Cement, Mumbai (a B.K Birla Group Company) (3 ½ yrs). Area Sales Manager, Kajaria Ceramics Ltd., Mumbai (3 years). In the field of advertising including self-employment (2 years). Provide consultancy on marketing related Issues to some SMEs. Evolution of 'Brand Personality' in the context of socio-economic development. Business Marketing in a value-driven boundary-less world. Strategic Marketing as a tool to build operational efficiencies in the organization. Management Development Programmes on 'Team Building'; 'Leadership' ;'Art of Negotiation'; 'Art of Presentation'; 'Making Effective Sales Pitch'; 'Strategy Execution', and modules on 'Strategic Branding'; 'Marketing for SMMEs'; 'Sales Training'; 'Marketing Plans'; etc. '10 Myths about Marketing' a series of 10 articles published in The Hitavada, Nagpur from October 2012 to February 2013. 'Ready-Mix Concrete: Coming of age' published in Construction World, Aug 1999. 'Cement - Awaiting its due respect' published in Financial Express Nov 2001.